I never liked being forced to do something especially if I had major moral issues about it. I had a telemarketing job where I had to sell stuff I knew people didn’t need to buy. 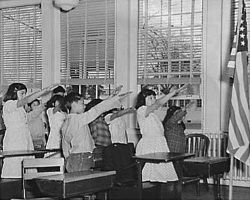 As a kid, I hated having to recite the pledge of allegiance and as an adult I refuse to recite it and I don’t stand the for the national anthem. It isn’t because I hate my country, it’s because I love my country and want it to do better. If the pledge and anthem mean anything it’s my right to address my grievances with my government like not standing for the national anthem. This entry was posted in Culture, History, Humanism, Life, Politics, Progressive and tagged Colin Kaepernick, National Anthem, Pledge of Allegiance on October 11, 2017 by Doug. Today, my sister would have turned 52 years old. She passed away from cancer in 2003 at the age of 40. Even after all these years she’s been gone, she is not far away in my memories. Countless times I’ve remembered funny things she did and I also remember the challenging times due to her being mentally challenged. 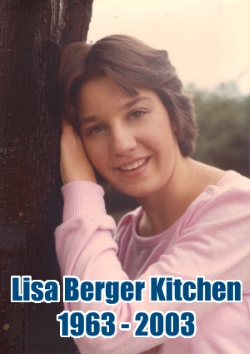 I wanted to honor her on her birthday and to share the eulogy I wrote and gave at her funeral. This entry was posted in Findlay, History, Humanism, Life and tagged cancer, death, eulogy, family, sister on June 22, 2015 by Doug. Where Did My Thanksgiving Parade Go? 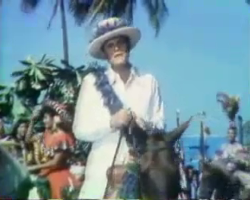 So I got up earlier than usual on Thanksgiving morning specifically to watch the famous Macy’s Thanksgiving Day Parade. I turn on the TV to watch but where is the parade? It is suppose to be on two networks and I see bits of the parade in the background but the hosts act like they are somewhere other than a parade. When did the Macy’s parade become just an advertising vehicle for NBC and CBS? Where did my Thanksgiving Parade go? This entry was posted in Culture, History, Life, Media, Television and tagged advertising, holiday, Macy's Thanksgiving Day Parade, Thanksgiving on November 27, 2014 by Doug. I’ve been part of the non-religious community for 20 years and one thing is constant, we have many different groups to support us and it seems new ones show up regularly. Case in point is ‘Openly Secular’, a ‘new’ coalition of several large secular groups. Its mission of drawing attention to discrimination of non-religious people is needed but I’m disappointed in the fact that they named the group ‘Openly Secular’ instead of ‘Openly Non-religious’. This entry was posted in Culture, Humanism, Life, Religion and tagged atheism, church and state, deconversion, non-theism, nonreligious, Openly Secular, religious bigotry, religious discrimination, religious freedom, secular, support on September 23, 2014 by Doug. 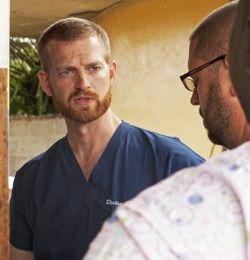 How Does Dr. Brantly Know God Wanted Him Cured? Dr. Kent Brantly, one of two American aid workers stricken with Ebola, walked out of an Atlanta hospital Thursday. He did thank the medical staff for treating him but gave all the credit to God for his survival. How does Brantly know God wanted him cured? This entry was posted in Humanism, Life, Religion and tagged Dr. Kent Brantly, Ebola, medical science, modern medicine, virology on August 21, 2014 by Doug.